Midtown is the heart of Manhattan—meaning when you imagine New York City, you picture Midtown’s iconic spots. Hop on the elevator to the 86th floor of the Empire State Building to see a panoramic view of the city. Shield your eyes from the flashing billboards in Times Square. 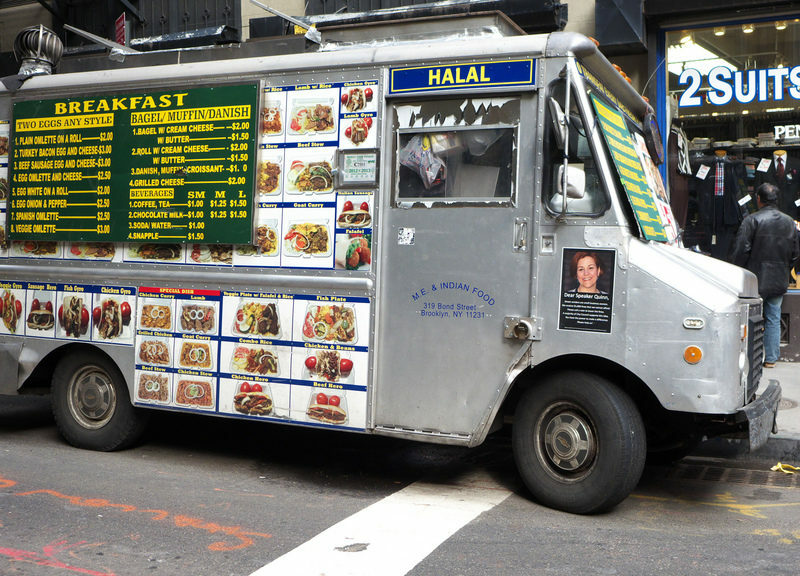 Stop by a halal cart for a plate of savory chicken on the go. Snag tickets to Mean Girls the Musical on Broadway to meet the plastics IRL. Check out your next read at The New York Public Library before you lay out a gingham blanket in Bryant Park with a scoop of Cookie DŌ. Midtown is yours to explore—you only need to figure out where to start. Once you’re ready for living in Midtown, book your housing with Educational Housing Services (EHS). 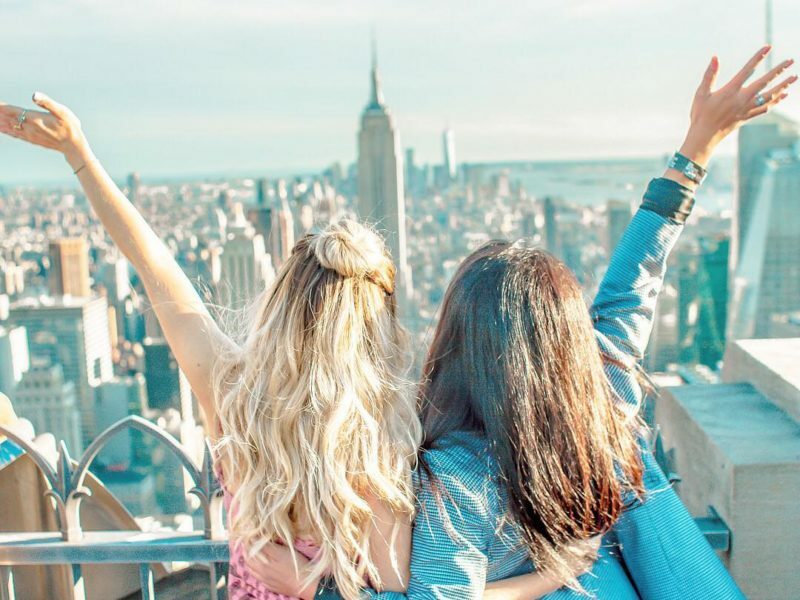 The Marymount building in Midtown East is the perfect location for enjoying Central Park, shopping on 5th avenue, and exploring iconic NYC spots like Rockefeller Center, Bryant Park, and Times Square. They offer stress-free student intern housing. Meet new friends through EHS and explore Midtown together! Get your walking shoes ready: here are 24 things to do in Midtown in 24 hours. Treat yourself to a cream puff before you start your day in Midtown. “Bibble and Sip is just the best place with the coolest atmosphere,” New York University freshman Madi Torem said. Their slogan, “BS all you want,” reflects the easy-go-lucky feel of the space. Bibble and Sip also lets you sit and chat after finishing your pastry, so you don’t feel like you need to rush out of the place. The smell of fresh cream puffs fills the bakery every day at 12 p.m., so head back for a midday snack if you’re craving more after your morning treat. 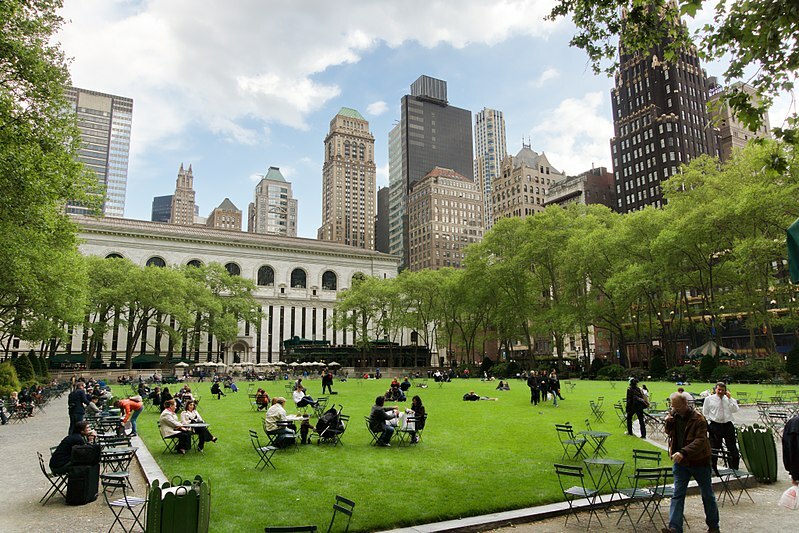 Let your mind wind down in the green oasis that is Bryant Park. “I just like to sit in Bryant Park more than anything,” NYU graduate student Kirsten Janecek said. The Southwest Porch, an outdoor bar and café, offers bench swings where you can sit to clear your mind from a stressful exam or relax after interning. Or keep your head in the trees and away from honking taxi cabs by laying out to soak in the sun on the Bryant Park grassy lawn. DŌ even sells its famous edible cookie dough in the park. When you walk by Fifth Avenue, look out for the latest pop-up shops, like past storefronts Timberland and Kylie Jenner Cosmetics. On Fifth Avenue, skyscrapers like The Olympic Tower and Bank of America Fifth Avenue Plaza stare down at you, while world-famous brands such as Tiffany & Co. and The Apple Store surround you. All this reminds you that the city that never sleeps welcomes you—and your wallet. Ready to explore Midtown this summer? Check out Educational Housing Services (EHS), which creates an awesome community for students interning in NYC. Their Marymount building has every amenity you need—fully furnished rooms and suite-style living complete with a private bathroom and kitchen, free AC and Wi-Fi, and fitness and laundry facilities—in the prime Midtown East location. 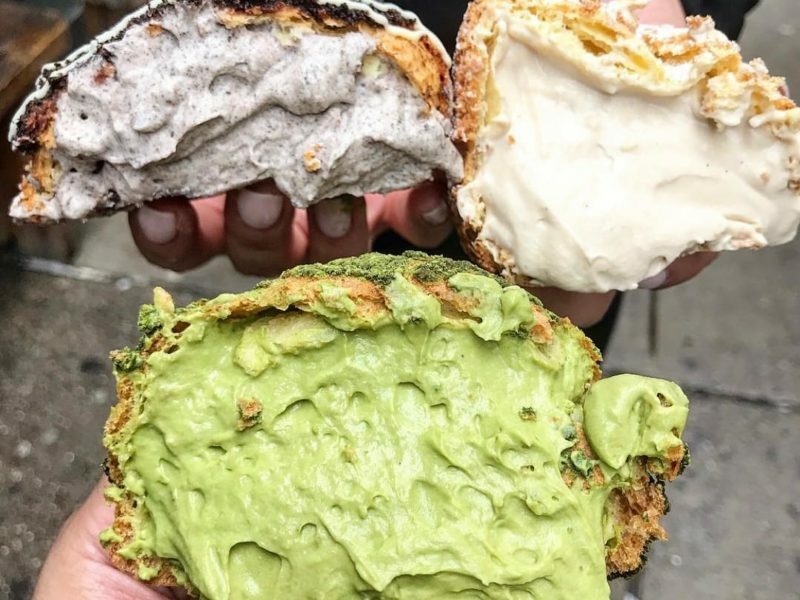 Grab a quick bite on the go, because why not in the Big Apple? You can’t resist stopping by the halal food trucks as you walk past the cloud of smoke and smell the spices, vegetables and meats sizzling on the grill. They dish out so much food from the small, brightly-colored trucks for a great price. Vendors serve pretty much anything you want and most of the trucks sell more than just one type of food. Different combinations like chicken and rice or even a chicken finger basket go for around four or five bucks at the halal trucks any time of day. As you walk up the steps to The Lincoln Center, the staircase lights up with “welcome” in multiple languages. The 16 acres that make up the performing arts complex is home to the New York City Ballet, the Metropolitan Opera, New York Philharmonic and more. “[I love] Lincoln Center because of the beauty of it on the inside,” NYU freshman Sara Wasdahl said. 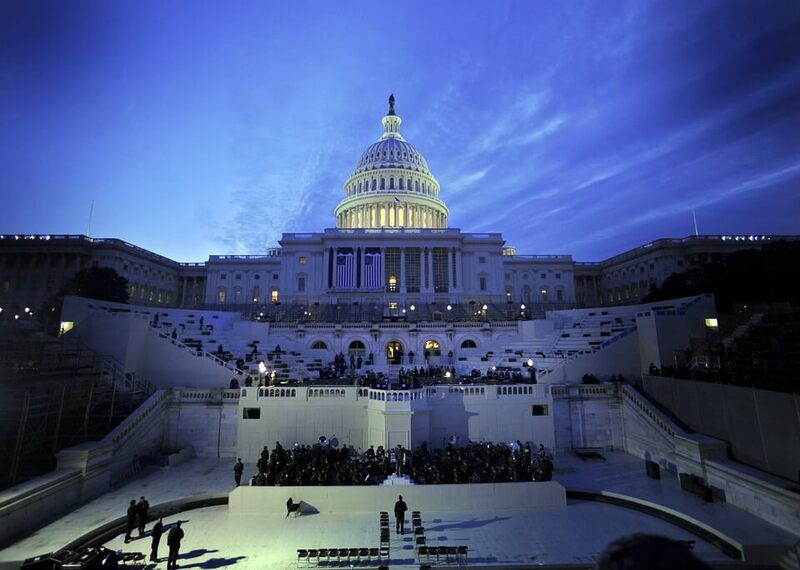 Take a look inside during the day to admire the building itself or come back at night for cultured and elegant performances. 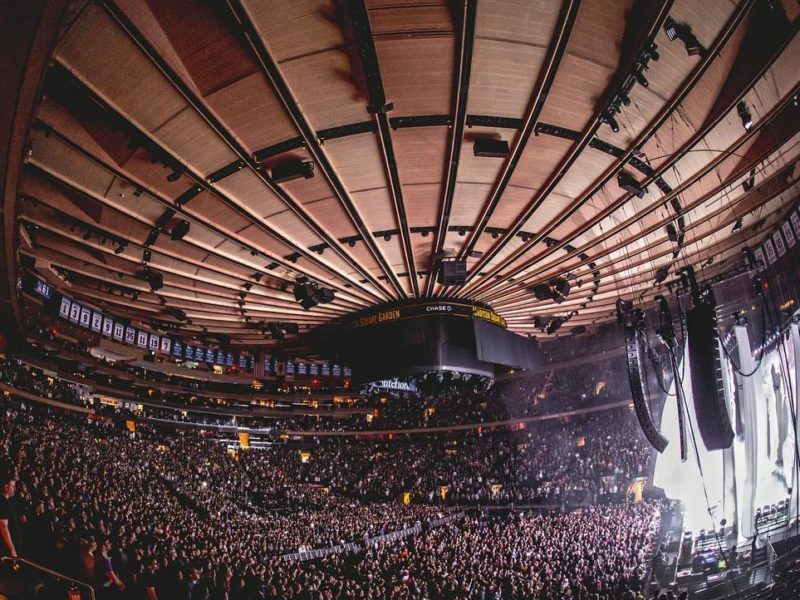 Did you know that Madison Square Garden gives empty tours? You’ll feel like a VIP walking through its most exclusive lounges. The enormous venue looks even more impressive when screaming fans fill all 20,780 seats for a concert. The guides explain the process of switching between an ice floor for hockey games and a wooden floor for basketball games quickly. A lot of detail and precision goes into making the stage perfect for fans to get an immersive experience. On the tour, you’ll also learn about the drastic changes the Garden has experienced through the years. A visit to Madison Square Garden will remind you how much the city changes over time. If Ferris Bueller took a day off in Midtown, he’d definitely end up at the Museum of Modern Art. Over a thousand original pieces belong to MOMA. General admission costs only $12 for students. Throughout the year you can see its permanent collection, including Vincent van Gogh’s Starry Night, Andy Warhol’s Campbell’s Soup Cans and Henri Matisse’s The Dance. Or look ahead at its schedule for special exhibits like Lincoln Kirstein’s Modern. 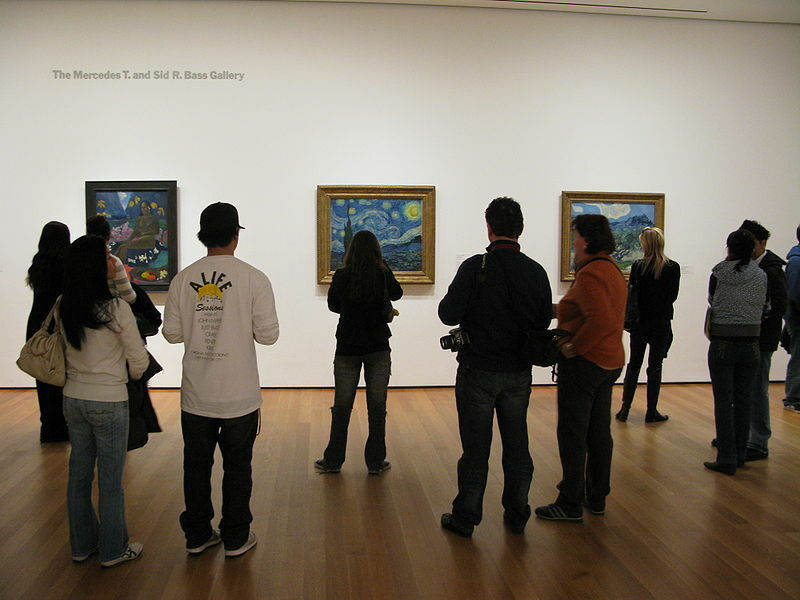 Take your time to appreciate the eclectic art inside MOMA. The bakers at Harbs only use the freshest ingredients for their Japanese cakes and tea. “Harbs in Chelsea is my favorite because it tastes really good and isn’t too sweet. It’s a really good place if you’re wanting authentic Japanese desserts,” NYU freshman Kirsten He said. Harbs’ cake recipes come straight from Japan. It keeps things simple with the dim lighting and small round white plates of sweet desserts. 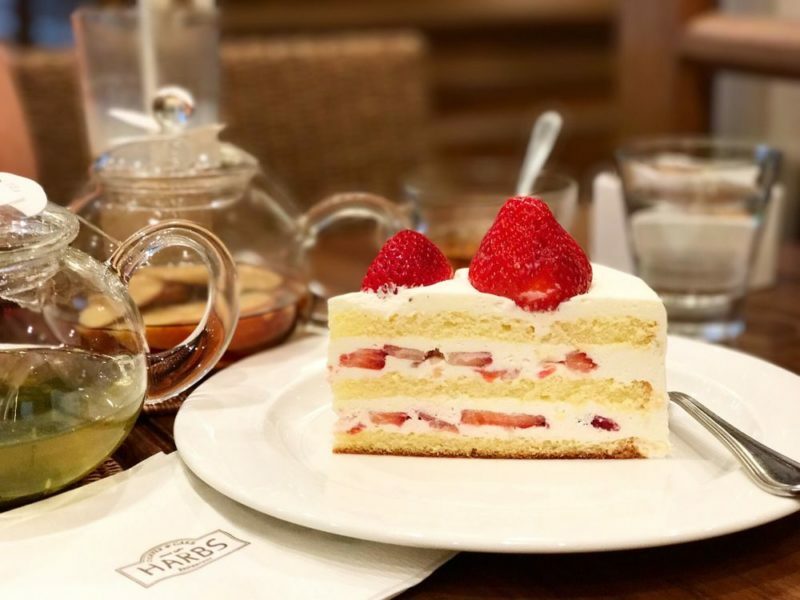 Don’t miss out on a slice of some of their best flavors, like sakura, green tea mousse and king chocolate in this Southern Midtown bakery. Walk towards the smell of strawberries and sugar before walking back out into the concrete jungle. Grab a cupcake, then retreat to the flashing lights for the ultimate NYC experience. “I love Times Square because you can spin around in the lights,” NYU freshman Meritt Wiggin said. 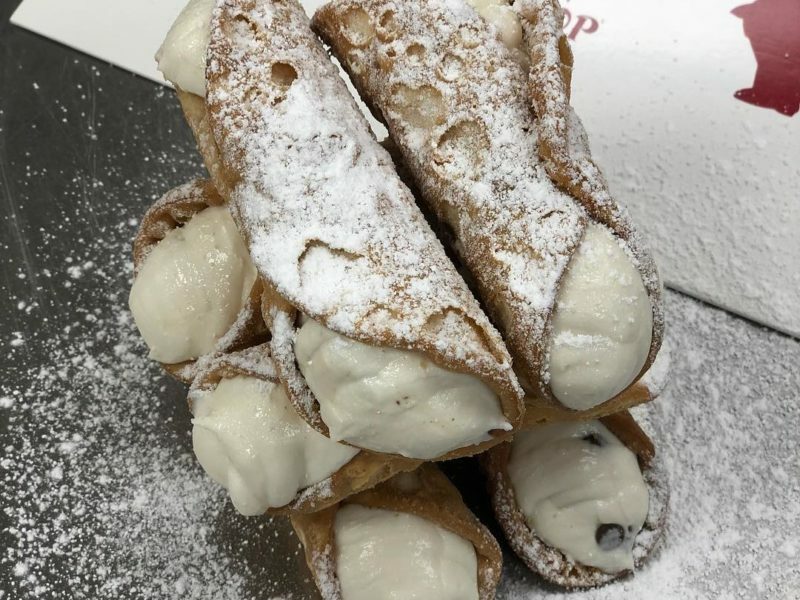 Carlo’s Bakery Times Square location stays true to its roots with bright red banners and classic Italian desserts like cannoli, rainbow cookies and lobster tail pastries. After a long day you might crave the familiar. 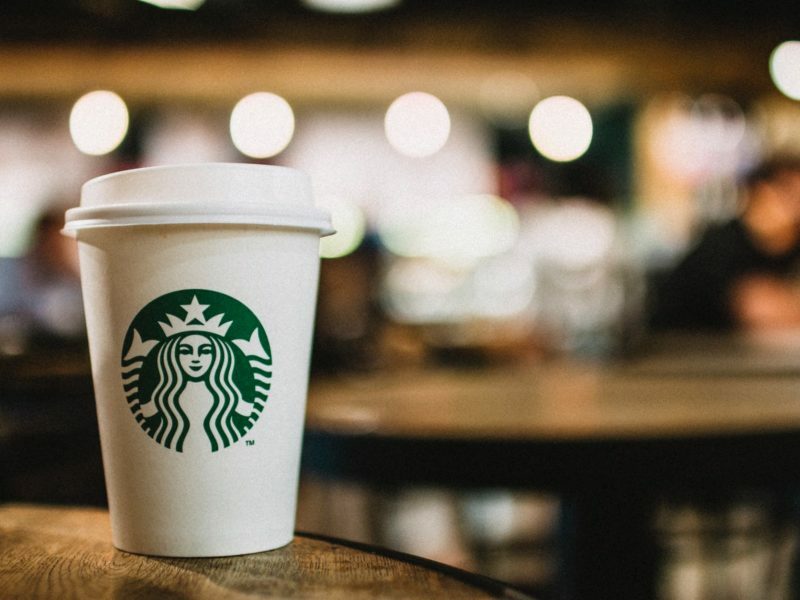 The Starbucks in Columbus Circle stays open until 11 p.m. on weekdays and conveniently sits on the corner steps away from the Time Warner building where CNN delivers breaking news every hour. Students and young professionals taking a break to feel replenished during busy days, and sit and enjoy their favorite frappes and lattes. Sitting in the dark wooden chairs and looking out at the view of the busy street and chatting with the welcoming staff will bring your stressed mind back down to Earth. The line at the Black Tap often wraps around the corner of the restaurant for good reason. 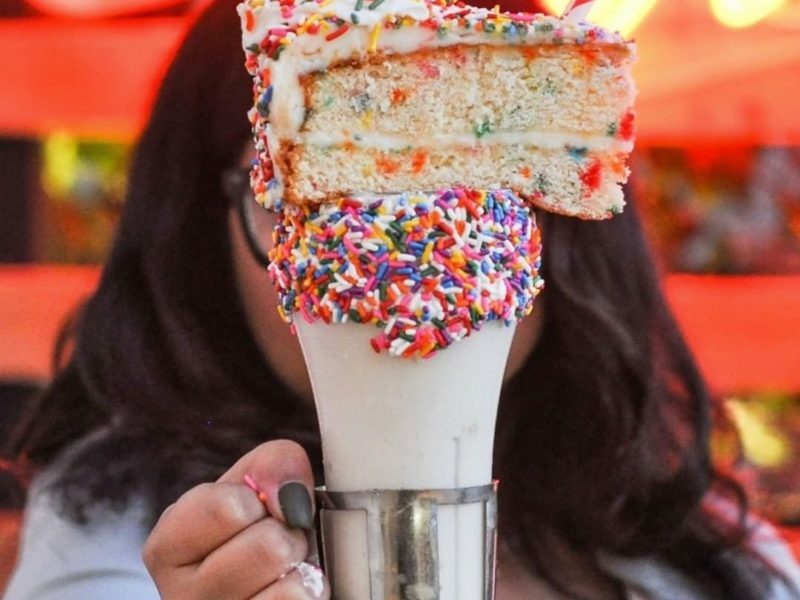 New Yorkers constantly post pictures of the milkshakes dripping in candy and topped with a giant swirl of ice cream. The strawberry milkshake comes with a slice of cake on top and sprinkles line the rim of the glass. If you want something meatier, know that their famous burgers only flip once on the grill before the toppings go on and eventually into your stomach. Get ready to shout at the screen and swivel your hips around with a group of strangers down in Southern Midtown. 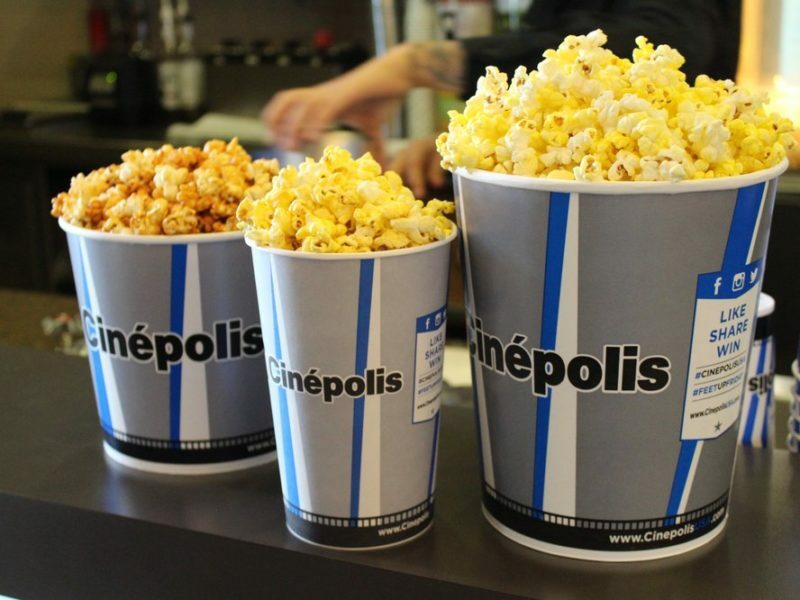 “Cinepolis in Chelsea has to be my favorite because that’s where they have The Rocky Horror Picture Show,” NYU freshman Lynn Parks. The Rocky Horror Picture Show reminds the audience that “no rules” exist during the show. Head to The Spyscape museum on 8th Street. 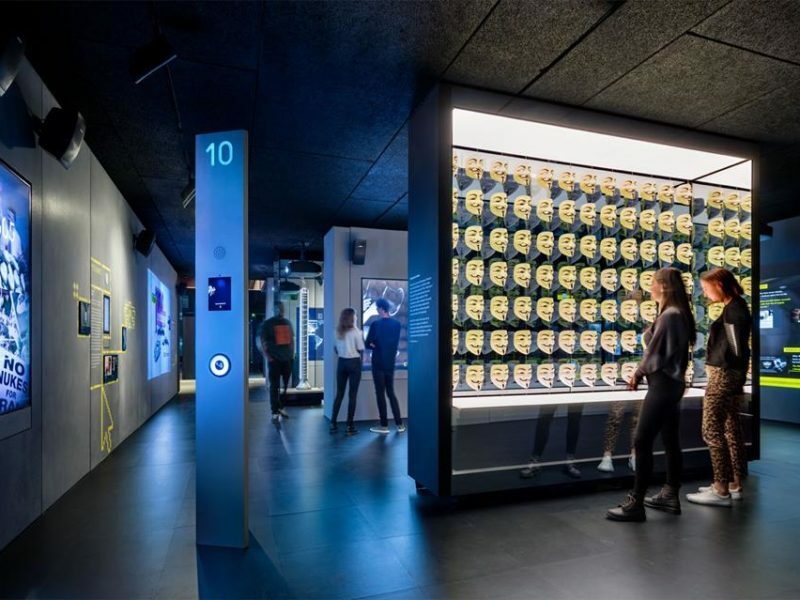 This museum experience brings you into the spy world of dodging lasers and solving mysteries. “My friend Julia took me to the spy museum and honestly it was so much more fun than expected,” NYU senior Emma Weiss said. The spy experience ends when you get your personalized spy profile, so you learn the kinds of skills you would need to become a professional spy. No matter how long your night lasts, Koreatown in Southern Midtown has your back with plenty of 24-hour restaurants. Try authentic Korean BBQ at Yoon Haeundae Galbi. Or go for a Korean-American fusion at Itaewon with their delicious bulgogi kimchi fries. Just walking past the neon lights on the streets and restaurants full of people from night until morning makes you feel more alive than ever. “All my years, I somehow ended up in K-Town the most. I just really love the vibe of that area,” NYU senior Qiyue Xu said. K-town truly belongs in the city that never sleeps. Add some luxury to your Midtown experience. See the city light up at the Top of the Rock sky deck after the sun goes down. The Top of the Rock experience opens at 8 a.m. and closes at midnight. Take amazing pictures in front of the sparkling skyline of lights from the dozens of skyscrapers in the background. Then head down to the other floors to grab a bite to eat at The Sea Grill in the Rockefeller Center. From high-end clothes to the expansive Nintendo NY store, it would take hours to explore every nook and cranny inside the Rockefeller Center. Come see the amazing rotunda inside the Gershwin theatre showcasing all of the iconic Broadway artists whose legacies live on in the theatre. Wicked has been home to Gershwin since its debut in 2003. Before that, shows like Annie, Oklahoma! and Fiddler on the Roof graced its stage. Almost 2,000 people (1,933 to be exact) can sit back and enjoy the dazzling lights and incredible performances at each show. 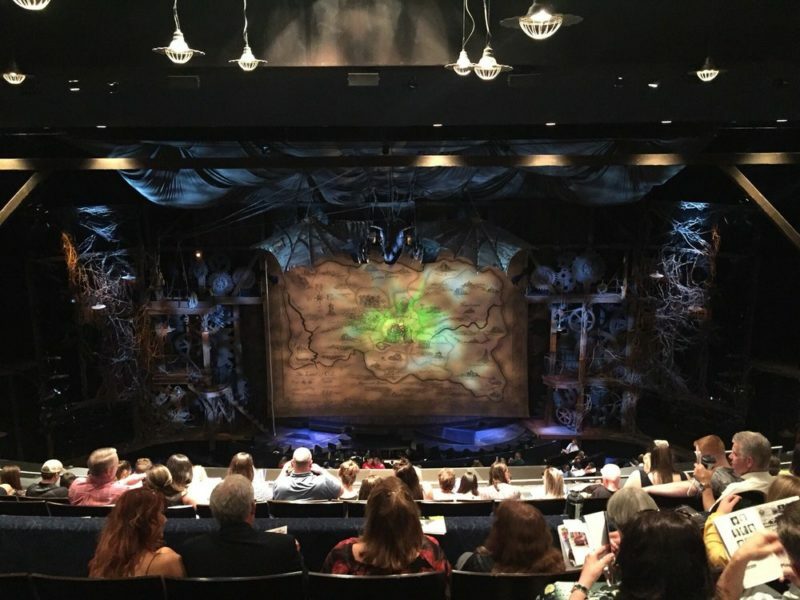 Its location in the Paramount Plaza Building on West 51th street makes for a nice walk through New York City architecture if you miss out on tickets to see Wicked. Get an inside look at how TV comes to life at NBC Studios before it shows up on screens all over the world. You’ll even get the chance to create a video of your own while on the tour. You’ll walk the same halls as dozens of your favorite performers like Keenan Thompson and Tina Fey (from her time on SNL and 30 Rock, of course). Your tour guide will lead you not only through the filming process, but also through the writing and editing process as well. If you love a good tune with your meal then the singing waitstaff at Ellen’s Stardust Diner can’t wait to meet you. Don’t expect to plan ahead, though. This retro diner does not take reservations. But you won’t regret the wait once you order a Sofia Vergara (a vegetable burrito) or a North Carolina Tarheel (a BBQ pulled pork sandwich). Ellen’s also serves breakfast all day for the breakfast-for-dinner types out there. Located on the corner of 51st and Broadway, there’s no place better for future Broadway stars to kickstart their career. 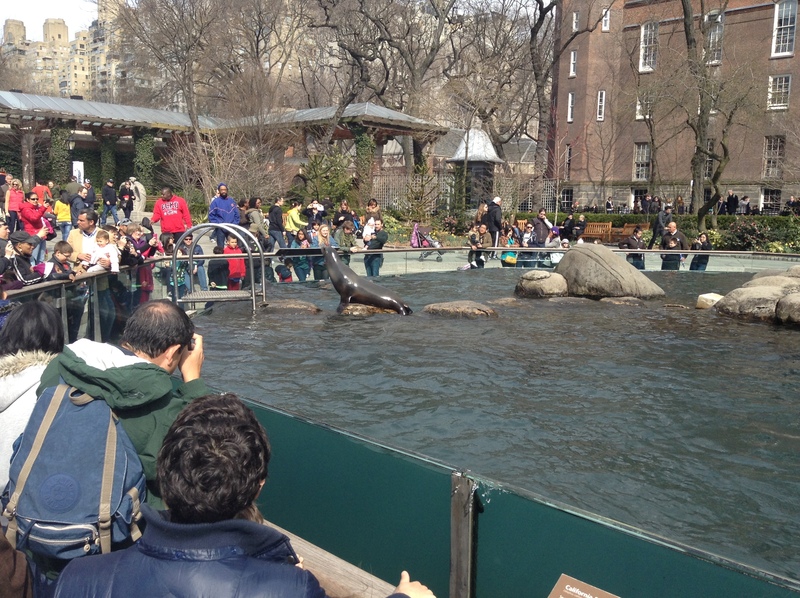 Over 130 species want to greet you at the Central Park Zoo. Get to know the adorable red pandas in The Temperate Zone. From the Himalayan mountains, these one-of-a-kind species came to the Central Park Zoo for extra care under a special species protection initiative that many zoos across the country take part in. You can also meet Snow Leopards River, Summit and Malala. Or stop by to see a penguin or sea lion feeding to learn more about these magnificent creatures. College students need cheap and delicious eats like Go! Go! Curry. 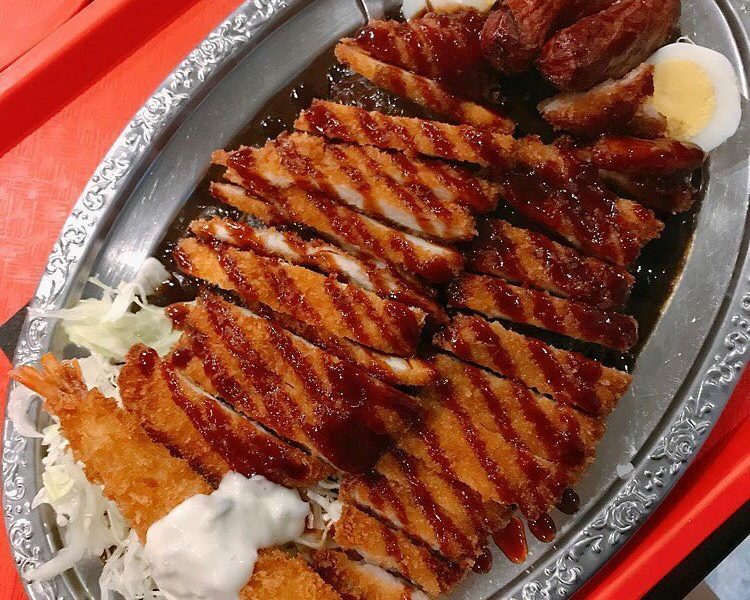 Following the same recipes used in restaurants in Japan, you’ll soon learn that Japanese curry is a dark, thick sauce served over white rice and topped with chicken or pork Katsu. All of the meals cost less than $10, so go for seconds if your stomach can handle it. 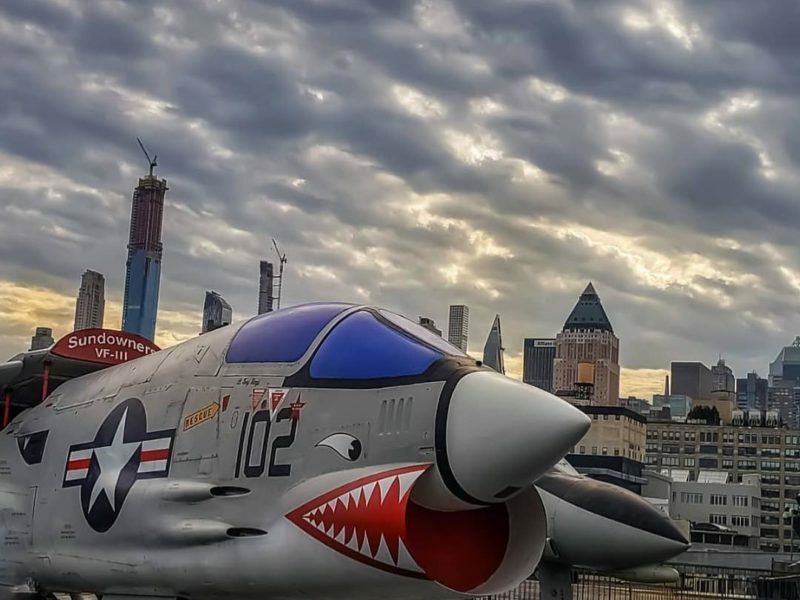 Climb aboard the Intrepid to see the Sea, Air & Space Museum. This museum, on an actual ship, was saved from the scrapyard by NYC philanthropist Zachary Fisher. Check out the personal space exhibit, where you’ll get a glimpse at the objects and artifacts that flew into space with some of the most renowned American astronauts. You can also see a 4-D attraction and G-Force simulator. Experiencing it all from on top of the water of Pier 86 makes this museum that much more unforgettable. Plus your guides include actual historical astronauts. In the women’s exhibit, Dr. Mae Jemison, the first African-American woman to go to space, greets you in holographic form. Every time someone visits me in New York City, I take them straight to Junior’s for a giant burger or plate of fried shrimp to pair with a giant strawberry shake. Junior’s motto, “a taste of Brooklyn in Manhattan,” comes through in every delicious bite. 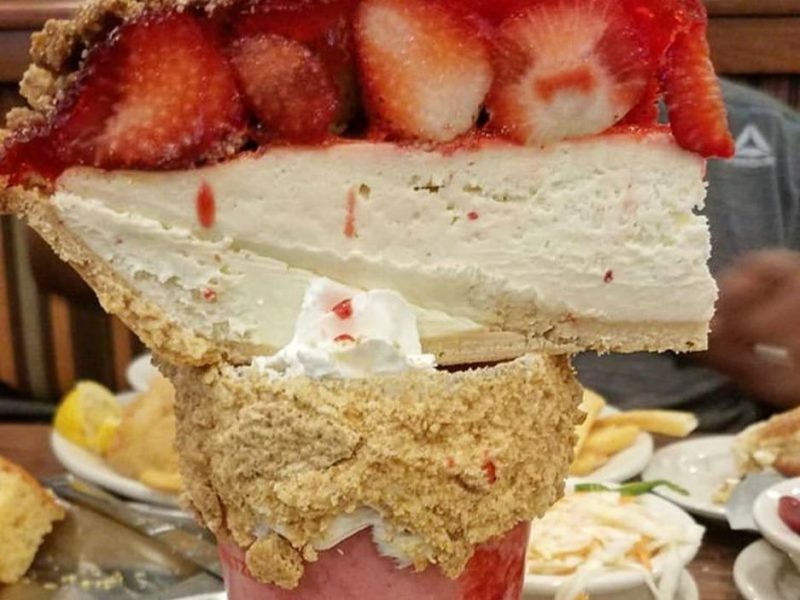 Fair warning: You may need to unbutton the first button of your jeans after you finish your meal at Junior’s. But it’s still worth every bite. Who doesn’t love giant plates of mouthwatering Italian food? After a plate of ravioli or spaghetti and meatballs, save room for one of Carmine’s massive homestyle desserts like Italian cheesecake. If you love ice cream then end your night with the Titanic. 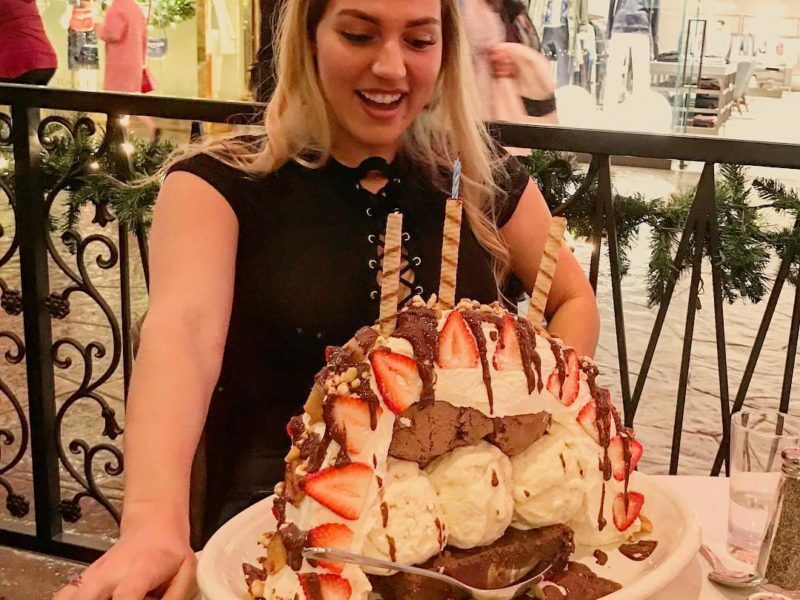 The dessert comes with six giant scoops of ice cream topped with chocolate sauce, whipped cream and fresh strawberries. 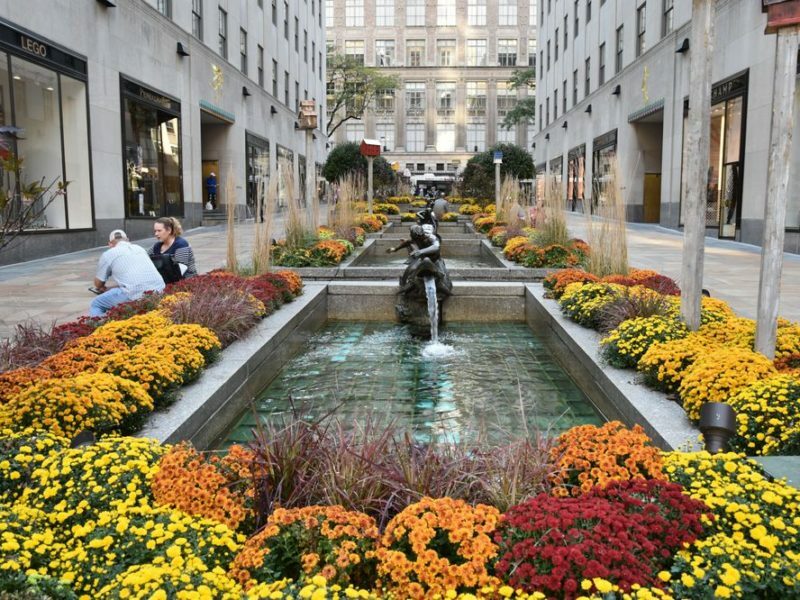 Head back to Rockefeller Center at night to see the Channel Gardens illuminated and twinkling in the night time. The Channel Gardens help you catch your breath in a city that runs nonstop. The garden often changes with the seasons, featuring new and uniquely beautiful installations. The six fountains of water at the center soak up the sounds of the city so you can reflect on your magical day. Ready to ignite your Midtown experience? Get the best student and intern housing with Educational Housing Services. EHS gives you more than just housing. EHS gives you the ultimate NYC intern lifestyle. Apply and save your spot ASAP.